The gist: If you want to become successful, there are three important leadership lessons from Marvel’s story that will help you become a superhero leader. Like his superheroes who rush into danger and defy the odds to save the day, the creator of Marvel, Martin Goodman, is a leader who understands the importance of taking risks. After a few jobs and mild success in the publishing industry, Martin decided to start his own company. Since superhero characters were becoming popular, he made an enormous bet. He hired a company to develop a super hero comic book and printed a million copies. His first comic and he was already betting the company on it. If they called him crazy, it wasn’t for long. Martin worked hard to develop his leadership and intuition for products that could go big, and he knew he had a hit when his writers delivered the star character in his new magazine: The Human Torch. If Martin’s story teaches us anything, it’s that, if you want to know how it feels to create something great, you must also know how it feels to go out on a limb and stand at the brink of failure. If you want to ride that wave and experience it yourself, there are three important leadership lessons and rules for success from the Marvel story. Have you ever noticed how spending $5 on a little extra at the store takes almost no thought at all but when you’re about to buy something big—a new car, a computer, a vacation package—you spend a considerable amount of time thinking about it? We’re hardwired to focus and get the big things right because the big things are also the riskiest things. It takes a lot of money to buy something big, and a lot of money, for most of us, means a lot of time spent working. If you blow it, it’ll be a long time before you can try again. That $5 trinket you picked up on a whim? If it turns out to be a bad choice, you’ll just toss it and try again. Martin Goodman sold a million copies of his first comic book because he didn’t have any other choice—the printer wasn’t going to take them back if they didn’t sell. He was motivated to make it work because any other outcome would have been disaster. I call this the “Time Bomb Method” of goal achievement. If you want to make sure you do something big—especially when you’re not sure you have what it takes—put some details in place ahead of time that are permanent and make failure an unattractive option. That’s not to say you should jump head first into something that could ruin you with no sign that success is possible. Before you take an enormous risk, take a small one first. When I wrote that Goodman ordered a million copies of his comic, I left out an important detail. He actually ordered 100,000 copies first, as a test. When those sold out, he knew he was onto something and he was ready to make an enormous bet on a much bigger order. The second run, of course, sold out just like the first, and he made a lot more money by reducing his per-unit cost with a huge order. In 2009, Disney bought Marvel Comics for $4 billion. If that’s not impressive enough, Marvel had lost its way and gone bankrupt just a decade earlier. Marvel’s story is a perfect reflection of every great comic book. Good has been defeated and it seems evil prevailing is a foregone conclusion. Just as the scene is about to go dark, a hero appears. They’re unwilling to go down without a fight. Time is short so the hero springs to action. They quickly ready themselves for battle, they rally the townspeople around them and then, against all odds, they defeat the evil intruder and happiness is restored. Marvel’s real-life hero came in the form of an entertainment leader by the name of David Maisel, and his superpower was the ability to lead organizations around tight, focused deadlines with incredible risk. Nearly a decade after Marvel took the biggest hit of its life in bankruptcy court and no one would commit to anything, Maisel convinced Marvel’s leadership to take on the biggest challenge of it’s existence—build its own movie production studio—and do it faster than anyone imagined possible. They took a $500 million loan with just seven years to pay it back. “Impossible” things often happen when the people who do them work on impossibly tight deadlines. They know that doing the right things is more important than doing everything. And the best way to force yourself to focus on the right things is to not give yourself enough time to focus on anything else. Maisel knew the path to success was not just to lead his team to accomplish something big, but to do it quickly. He knew an impending deadline would lead the company into a sense of urgency to turn their situation around. It’s what I like to call Big Dream Theory. And it worked. When you want to accomplish something big—especially when you need the help of others to do it—your team needs to feel like the pressure is on and every action they take really counts. 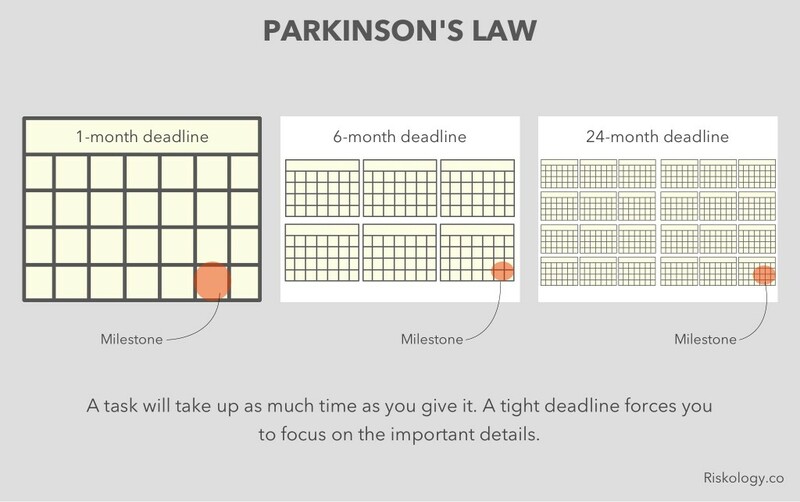 Tight deadlines inspire focus, and focus leads to success. Steve Jobs liked to say that “good artists copy, and great artists steal.”2 What he meant is that truly great ideas and products come from leaders who make refinements to ideas that already exist. It’s how Apple built the Macintosh, the iPod, and other products that redefined their generations. Marvel—in its start and again after bankruptcy—did the same. And so should you. When Martin Goodman created his first superhero comic book back in 1939, he wasn’t setting the trend with a new idea. Comic books had been around for years and superhero comics were just starting to increase in popularity. Martin took an enormous risk on something that he saw was already working. He took an existing concept, made it better, and invested everything he had in it. David Maisel did the same when he led Marvel out of bankruptcy. Superhero movies had been made for decades. Even movies based on Marvel characters had been produced. He knew they could make a fortune with their own movies because other film studios were already making their own fortunes with Marvel’s own characters. They stopped licensing their characters and started making their own films. They put everything on the line to make it work, and it did. Chances are, whatever you’re working on is not a brand new idea. That’s not bad news; it’s good news. It means you have a lot to work from. You can see where others have succeeded and failed before you. You can see what exists that could be better. And if you give it everything you’ve got to make it better, you’ll probably do it. 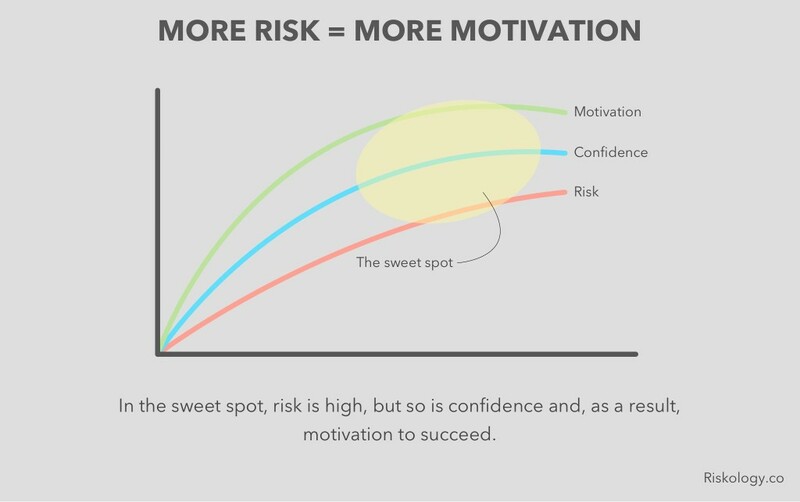 Make your risk even bigger. If you want to succeed, you need all the motivation you can muster, and that comes from committing yourself to something so big you can’t ignore. Give yourself challenging deadlines. Big things get done fast when people focus on the important, and there’s nothing like a looming deadline to encourage that kind of focus. Build on what already works. A new, novel idea is often not as useful to the world as an existing one taken to its greatest heights. Ask yourself now what you can do to make your vision five times bigger. Then, ask yourself what you would do if you needed to finish it five times faster. Your answers will bring you closer to what will actually work. Interestingly, Martin was initially hired by Louis Silberkleit—the guy who would go on to create Archie Comics which was one of Martin’s future competitors. Jobs attributed this quote to Pablo Picasso, but there’s no evidence he ever said it. Many of the factual notes in this piece came from here, here, here, here, here, and here.